About The Karr Lab at the Institute for Genomics & Multiscale Biology at the Icahn School of Medicine at Mount Sinai is seeking talented, ambitious researchers to develop cutting-edge whole-cell computational models of individual cells, as well as new technologies to enable larger and more accurate whole-cell models. Despite the explosion of experimental data, we do not understand the details of how phenotype arises from genotype and the environment. We are developing whole-cell computational models which comprehensively predict how behavior emerges from the molecular level by representing all of the biochemical activity inside cells. Our goal is to use whole-cell models to transform bioengineering and medicine into rigorous, quantitative disciplines. For example, we believe that whole-cell models could enable bioengineers to design microbial genomes for a variety of industrial applications, as well as enable physicians to tailor medical therapy to individual patients. Our research is highly interdisciplinary, involving systems biology, genomics, bioinformatics, data integration, parallel simulation, optimization, software engineering, and data visualization, and highly team-oriented. The Icahn Institute for Genomics & Multiscale Biology is a leader in basic and translational genomic and computational biology research. The institute's multidisciplinary researchers bring state-of-the-art genomic technologies together with advanced computational analyses to discover new disease mechanisms, develop new diagnostics, and identify new drug targets. The institute is a highly collaborative and interdisciplinary environment. Please see the institute's website for more information. 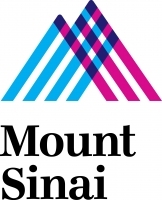 The Icahn School of Medicine at Mount Sinai is a world leader in translational medicine. The school's multidisciplinary research institutes foster collaboration along a seamless continuum from the laboratory to patient care. State-of-the-art laboratories support groundbreaking research, and abundant clinical venues offer superb patient care and training.